Gift giving provides for these needs and develops feelings of joy, love and connection at the same time. 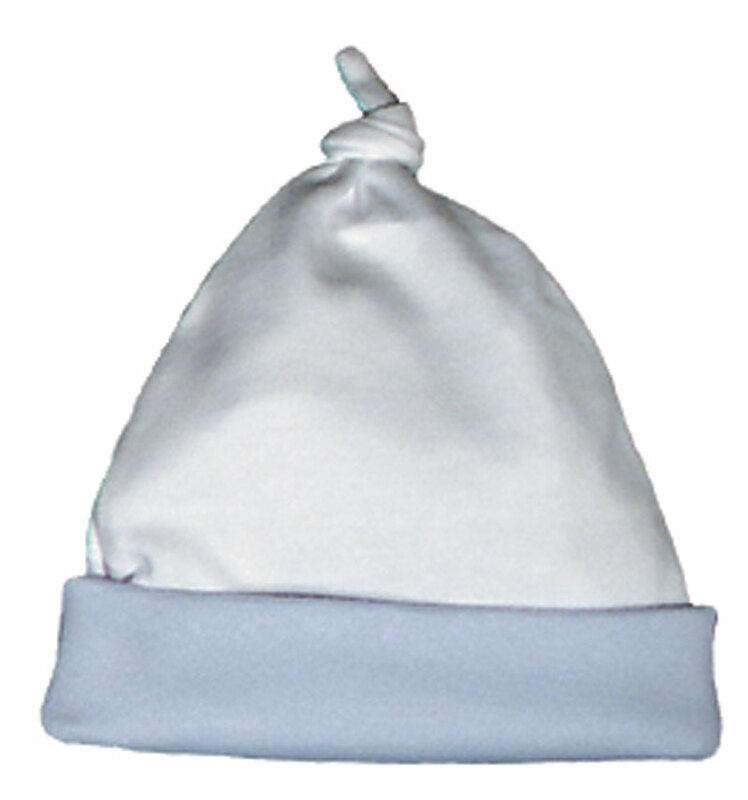 This special little cap will keep baby warm and comfortable both inside and outside. What makes it so cherished? This cap is made in 100% cotton, interlock knit and features an adjustable cuff for longer wearing. 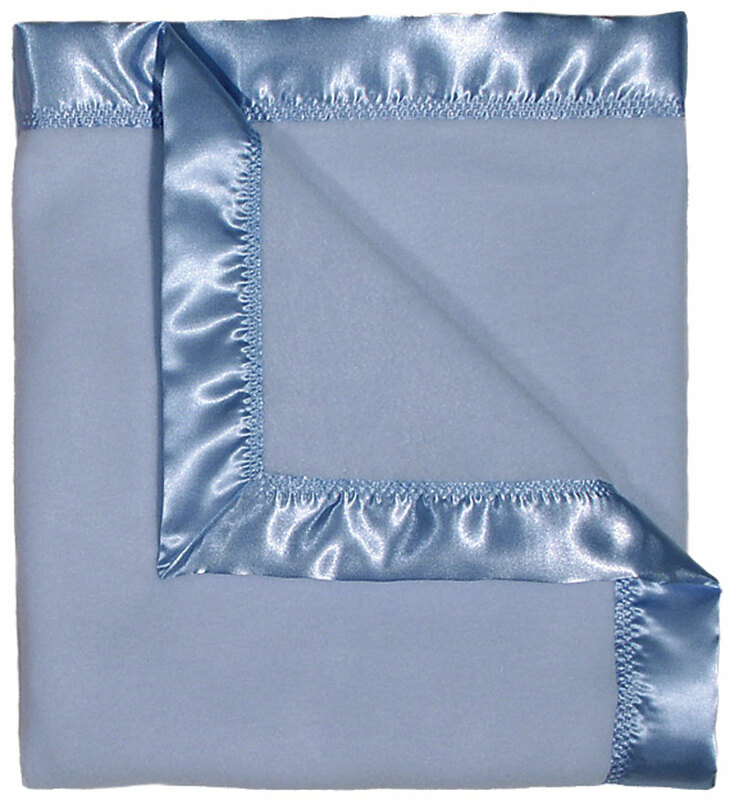 The knot at the top can be made larger to accommodate small newborns. This cap can be delivered to Mom's door or sent to your location for you to bring to that special baby boy. What makes it so superb? 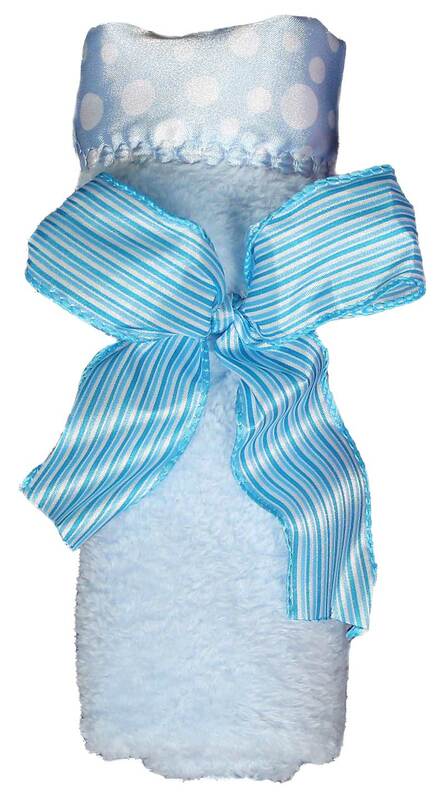 The cap is done in 100% cotton, interlock, not jersey, which means it will be softer on baby's delicate skin and it will wash and wear longer. 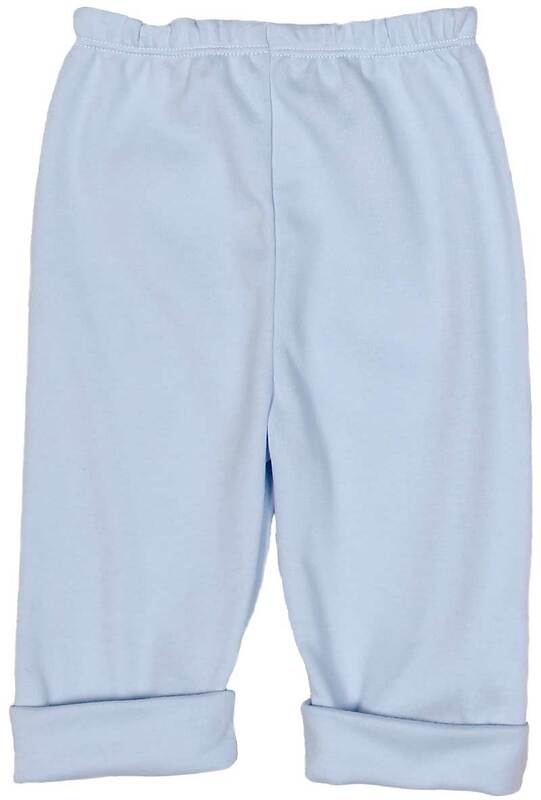 It matches many of our boy body suits and a blue pant, and can be given on its own as a gift or added to a bib, or a blanket or a baby gift set. This cap is for a boy, but is also comes in a pink version for a girl and a red version, which is unisex.